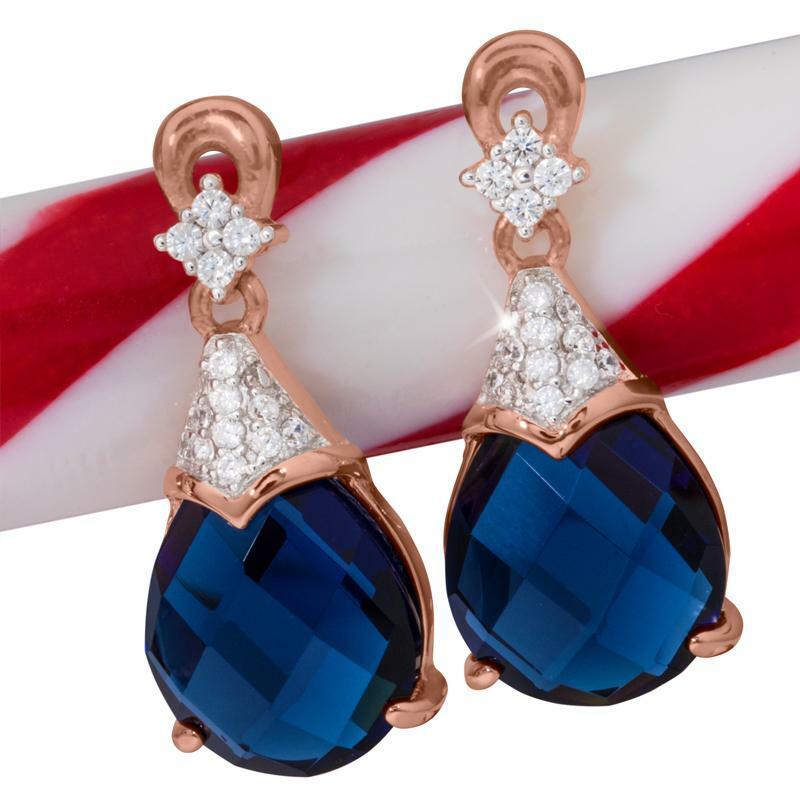 Perfectly-faceted teardrops of DiamondAura® give you the rich look of sapphires at a price worth celebrating. Not only do they look identical to one of the top three precious gems, they are environmentally-friendly and conflict-free. These are feel-good earrings that make you want to bust out your dancing shoes and celebrate.